Tagged with accommodation, Best Student Cities, Class of 2020, think tank. According to this year’s ‘Best Student City’ ranking by one of Europe’s leading think tanks focused on the future of accommodation, Berlin is again the continent’s favourite for full time students. But as costs rise and wages stagnate, traditionally successful cities like Barcelona and London are in danger of being usurped by smaller competition from eastern and southern Europe. Could 2018 be the year smaller cities steal the crown from historic favourites? Photo: The Class of 2020. As a cultural hub home to several heavy-hitting universities, low student fees, cheap rent, and a legendary party scene, it is not a big shock to learn Berlin has topped The Class of 2020’s scale. “Berlin’s universities are particularly popular with Erasmus students. English language courses, international flair, tolerance, entrepreneurial spirit – everything attracts young people. We are happy and proud that Berlin’s academic landscape is now one with distinction,” said Stefan Franzke, CEO of Berlin Partner. The cities were judged on six scores, including: affordability, city environment, connectivity and education experience. This might strike one as a sizeable selection of indicators on which to base a ranking, but as director of The Class Jorick Beijer points out, the millennial students have a lot more to look at, than previous generations of mobile students. “Today there are more mobile students than ever before, both on Erasmus or pursuing a full degree. For these digital natives there is a lot to choose [from] and compare,” he said. 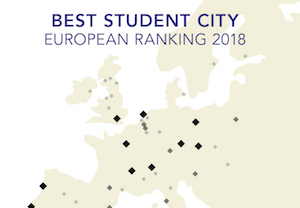 “The Best Student City ranking shows that a great student experience is all about the mix and only the university cities that understand this cocktail will be able to attract and retain the brightest mobile minds”. 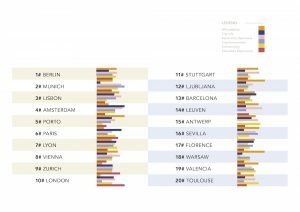 While the German capital proved best in 2018, other German and northern European cities also performed well. 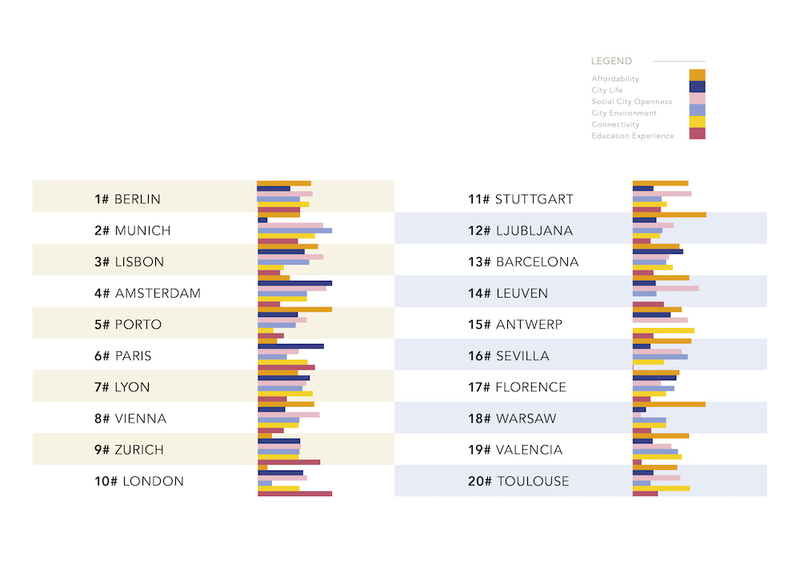 Munich, most obviously so, in second place, but with Amsterdam in fourth, Vienna and Zurich both inside the top 10 and Stuttgart just outside in 11th, it isn’t hard to see why students continue to flock to these cities. Despite it’s historic position as a popular study – and tourist – destination, London suffers from it’s increasingly expensive image this year, and falls to 10th place. The reason, according to Beijer at least, is straightforward. “Considering all costs associated with tuition and living, London is at risk of becoming a bubble for the elite, with very little opportunity to stay after graduation”. Stakeholders will point to the education minister’s support of a new PSW regime this week, but surely recognise the game may be up unless something changes soon. Alternatives are emerging from less obvious destinations, from smaller Belgian cities (Leuven, 14th; Antwerp 15th), to the handily-sized Slovenian capital (Ljubljana, 12th), and the much larger but similarly affordable Polish principal (Warsaw, 18th). KU Leuven’s rector, Luc Sels, believes the city’s draw will continue to bring international students to the Flanders region, perhaps as larger conurbations suffer. “The coziness of its nightlife is as renowned as its daytime brightness. KU Leuven is decidedly universal in its character, its goals, its approach,” he said.